School is over for just about everyone, and most of the science fairs have finished. But, summer is the perfect time to start thinking about and planning next year’s science fair project. If you get a big head start with your next independent science project, especially if you do research on your topic over the summer, you’re sure to have a much better chance at winning an award than if you wait to start until the week before the project is due. 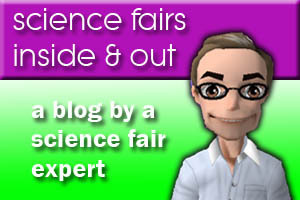 Have you checked out the Mister Science Fair Facebook page lately? All year long, our Facebook page is full of useful information, advice, resources, and inspiration to create a science fair or engineering design project. It’s also the perfect place to learn about other science competitions you might be interested in entering in addition to your local school fair. Many competitions release their rules and deadlines over the summer. You might even find ideas for topics on web sites such as the 3M Young Scientist Challenge, Kid Wind Challenge, the Cybermission Challenge and the Google Science Fair. And, if you’re entering your senior year in high school, the “Nobel Prize” of high school science competitions is the Regeneron Science Talent Search. And, our Facebook page has links to stories about the winners of some of the local, national & international competitions, and information about upcoming science competitions with thousands of dollars in prizes. On our Facebook page, there’s news about free online courses such as MatLab’s Modeling and Simulation class and the “Hour of Code” projects, as well as fun links to videos including the Zombie College lab safety film. As the science fair season heats up in the fall, you’ll also see posts such as common Safety Review issues and the Most Likely Questions to be asked by one of your judges. Facebook posts happen nearly every day. So, check us out at and “like” us on Facebook to make sure you don’t miss out on the information and excitement this summer!